Zoramthanga addresses MNF workers at Hnam Run, the party's headquarters, in Aizawl on Monday. Aizawl, Feb 3 : Myanmar’s government and leaders of its 16 ethnic rebel armies have agreed to visit India and study the Mizo Accord as a step towards restoring peace after spending more than six decades fighting each other, said former Mizo rebel leader and two-time Mizoram CM Zoramthanga, who is an emissary between the two groups. The Mizo Accord was signed between the Rajiv Gandhi government and the then rebel Mizo National Front (of which Zoramthanga was a prominent leader and which he now heads) in 1986 to end two decades of violent conflict. It is often hailed as one of the most successful peace agreements between a government and an armed ethnic insurgency. Zoramthanga was invited by Naypyidaw and the United Nationalities Federation Council (UNFC), a grouping of Myanmar’s ethnic rebel armies, to help restore lasting peace between the two sides after years of unsuccessful negotiations and often failed cease-fires. The former rebel leader was sometimes called “Vajpayee’s right-hand man in the North East” during the previous NDA government for his role in trying to broker peace between New Delhi and various ethnic insurgencies in North Eastern India. 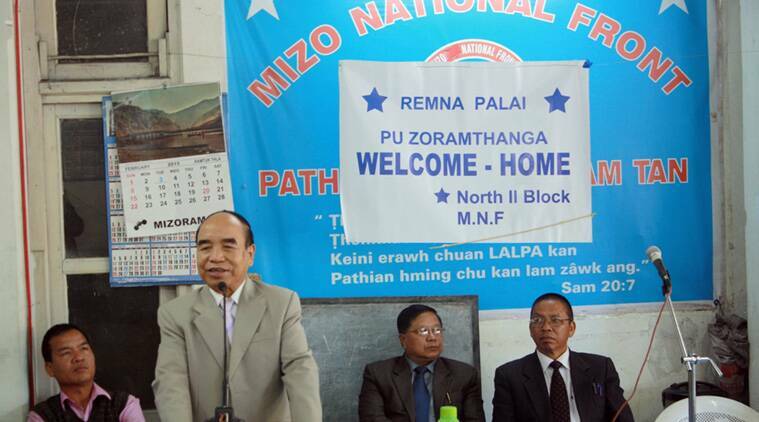 Zoramthanga said he was contacted first by Kachin leaders about four years ago to act as an emissary, but that he had told them the then UPA government was unlikely to allow his involvement since the MNF is the Congress’ main rival in Mizoram. He said his involvement picked up pace only after the NDA swept to power last year and after Ajit Doval, who was instrumental in negotiating with the MNF, was appointed National Security Adviser by PM Narendra Modi. “I found that both sides really wanted to have peace but were unable to find a way towards it. In my view they are like an aged bachelor and spinster who really want to marry but just do not know how to set the ball rolling,” Zoramthanga said.